How is the changing demographic of web visitors changing how local companies operate? 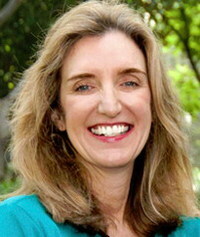 We recently chatted with Debra Domeyer, CEO of Oversee.net (www.oversee.net), a Los Angeles company which provides both domain monetization and runs vertical, consumer lead generation and marketing sites, to hear about the company. Domeyer recently told us how mobile visitors to the web are dramatically changing how Oversee looks at the market, and are pushing the firm to invest more in technology to adapt to mobile users. What are the major business areas Oversee is focused on nowadays? Debra Domeyer: Number one, we're definitely showing leadership in mobile innovation. To give you some numbers, we now have a network of 230 million unique visitors per month, and over 20 percent of that is mobile. It's grown significantly since last year when it was about 12 percent of our traffic. Over the holidays, it was 28 to 29 percent of our visitors, and is now averaging around 21 to 22 percent. That's a huge amount of mobile traffic. With that explosive growth, we're now targeting several major initiatives. We're doing targeted advertising, including ads hypertargeted based on geolocation, and also doing local search on specific devices. For example, we've been testing out local search for features phones, specifically, and we're starting a click-to-call prototypes, and even doing application marketing. With app marketing, instead of an advertisement, we're showing and application ad to mobile users. The punchline is, we're implementing new ways to monetize mobile devices, base don time and location. We think that's just critical going forward. The second area I'm trying to stress is innovation. We've been a recognized innovation in Southern California, and we're now ramping our development of compelling consumer products, fueled by accelerator services. As you know, Oversee is known for our traffic and traffic acquisition tools, but we're now also focusing on creating compelling, consumer products fueled by our accelerator services. The third area I'd stree, is the consumer area, especially in the vertical marketing division. We're putting more focus on the consumer, to create great destination sites in high potential, niche markets. We have several new sites, all the area of retail, travel, and mobile. We've now putting more focus on technology, and we have a new CTO, new engineering leads, have rebuilt our platform on Ruby on Rails, and we're now putting more emphasis on technology. What's the breakdown now between your domain monetization and vertical markets areas? Debra Domeyer: The revenue split is about 60/40. Sixty percent is still in monetization, and 40 percent is in vertical markets. There's lots of growth in the vertical markets area--it used to be our revenue was all in monetization. That said, we're still doing very well in monetization. We've had year-over-year growth for three or four consecutive months now, and monetization has been performing very well. You mention mobile traffic--how has this been changing how you work? Debra Domeyer: There's been a huge increase in the amount of mobile traffic. What that means to us, is more about what you want to present back to a user. It's not strictly cost-per-click ads anymore. It's now going to be local ads, it's going to potentially be apps. If someone goes to a certain domain now, instead of seeing a CPC advertisement, we could instead offer them to download different apps. I think that is going to be pretty big. When someone comes into a site, we figure out what type of device they're using, whether that's an iPad, a smartphone, a feature phone, or whatever, and based on that put up different kinds of ads. You're really going to see a different mix of ads being show, and even apps. The other things we're looking at, is for certain categories like travel, we may even send you directly to certain travel apps. How is the new top level domains (TLDs) which are coming out affect you, and what does that mean for the market? Debra Domeyer: Obviously, it's taken awhile. We're still not sure when we'll see the first ones come out. I am positive on TLDs, but I don't think it will be a huge boom. There wli probably be a couple of big winners, however. We're continuing to be positive about it, because, obviously, it could mean more monetization for us. In particular, as people get new global TLDs, they might want to immediately try to monetize those TLDs as they get their branding plan together. I am moderately positive, but we ourselves haven't jumped in full force into it. I'm obviously watching and curious to see what happens. Can you talk more about your technology efforts? Debra Domeyer: I would saw that, number one, we've been transitioning from our older, Perl code to Ruby on Rails. We're trying to get into the more modern languages. Second, we're becoming more agile in terms of development. We now have short, week- to two-week long bulid cycles. We're a big believer in prototyping, and there are very few projects now which take six to twelve months. They now all take a couple of weeks to 30 days at most to build. We're very big in the Agile framework. We do have a big effort on mobile and the responsive web. Everything we develop now is responsive web based, and fits onto an iPad, or desktop, or your phone. We're also trying to be more innovative and more open source, and have been volunteering in the open source community. Speaking of technology, has it been difficult for you to grow your technology operations here? Debra Domeyer: I've got a good CTO, who knows the industry well, and is well networked. So, we haven't had that much trouble. We have been involved in local groups--we were recently at a Ruby on Rails meetup, and we are doing lots of networking. We find that developers want interesting work to do, which we have, so it hasn't been that difficult to find people. We also haven't had much turnover. It's not like we've been out desperately looking for people, although we're still hiring for positions.